Welcome to Prague — the capital of the Czech Republic, called the „City of a Hundred Spires“, located in central Europe, and designated as a World Heritage site by UNESCO. Many famous mathematicians, physicists and astronomers have spent very fruitful and creative years here, and left unforgettable traces in Prague. In particular, Giordano Bruno, Tycho Brahe, Johannes Kepler, Bernard Bolzano, August Cauchy, Niels Henrik Abel, Christian Doppler, Ernst Mach, Albert Einstein and his mathematical colleague Georg Pick who was the one who inspired Einstein to study the tensor calculus. During their stays in Prague the above-mentioned scientists developed several fundamental mathematical and physical theories and engaged in related activities. For instance, in the beginning of the 17th century Kepler formulated the first two of his three laws of planetary motion based on Tycho Brahe’s observations. In the first half of the 19th century Bolzano constructed a nondifferentiable continuous function (of a fractal character) and wrote a book on infinite sets entitled Paradoxes of infinity (1851). In 1842 Doppler, professor of mathematics at the Prague Technical University, first lectured about his Doppler effect in the Patriot’s Hall of Carolinum. Einstein, while a professor of theoretical physics at the Prague German University, worked on his theory of general relativity in 1911–1912. The famous Czech writer Karel Čapek with his brother Josef together invented the term „robot“ here. Bernard Bolzano and the City of a Hundred Spires. Bolzano discussed with famous Czech linguist Joseph Dobrovský the hypothese on the count of Prague spires by the Austrian historian Joseph Hormayr. Bolzano confirmed it. His result was 103 spires in the Old Town of Prague. Today’s count is estimated by Prague Information Service at 500. Bernard’s birthplace, Mariánské Square, 1781-1786. Today the Municipal Library of Prague. During Bolzano’s Time Clementinum was part of the Prague’s University, lecture rooms for philosophical faculty. The complex of buldings was one of Jesuit Academies till 1773. The church of St. Salvator, where Bolzano had read famous exhortas. Mostecká Street No. 18 (At 3 Billy Goats), Lesser Town of Prague. Bolzano as a student, College of St. Wenceslas, Husova Street. The memorial tablet of Franz Joseph Gerstner, Bolzano’s teacher. There Christian Doppler taught here. 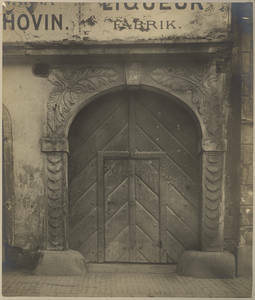 Calve’s bookshop and publishing house, Malý rynek (Klein Markt, Small Market), the house At Three Lilly Flowers. See Über die Einteilung der Schönen Künste, 1851. Bernard’s Elementary School, Old Town Square. Menhart’s Palais, Celetná Street No. 595, where professor of mathematics Joseph Ladislaus Jandera, Bolzano’s friend lived. Till 1766 the Piaristic College was here. Bolzano’s House in Celetná Street No. 590, the house At Four Columnes. where Hoffmann family lived, every day during 1840 – 1848. Buildings of the Prague’s University in Celetná Street and Ovocný trh (Fruit Market). Piaristic College, Příkopy (Moats), Panská Street. Bernard knew Czech legends: According to legends, Prague was founded in the 8th century by the Czech duchess and prophetess Libuše (Libussa) and her husband, Přemysl, founder of the Přemyslid dynasty (Bernard’s poem). Bernard started to study ideas of Immanuel Kant here. Exner Salon, Wenceslas Square No. 1282/51. Philosophical discussions were every Tuesday afternoon in the flat of Franz Exner, professor of philosophy at Prague University. The historian František Palacký was for example one of famous visitors of the Czech intellectual community. Bolzano read first chapters of Paradoxes of Infinity, first chapters of Functionenlehre here. National Museum, Wenceslas Square. Bolzano’s name between 72 scientists and patriots on the wall of muzeum. Bolzano’s buste with others busts: Jan Ev. Purkyně and Bedřich Hrozný, Žižkov. (today the part of Prague 4). Municipal Museum of Prague, Těšnov (metro station Florenc) – Langweil’s model of Prague from Bolzano’s times. Memorial tablets of Christian Doppler, Charles Square, U Obecního dvora Street.